Just in time for fall! These colorful and whimsical fall leaves and acorns are now available at our store for purchase. 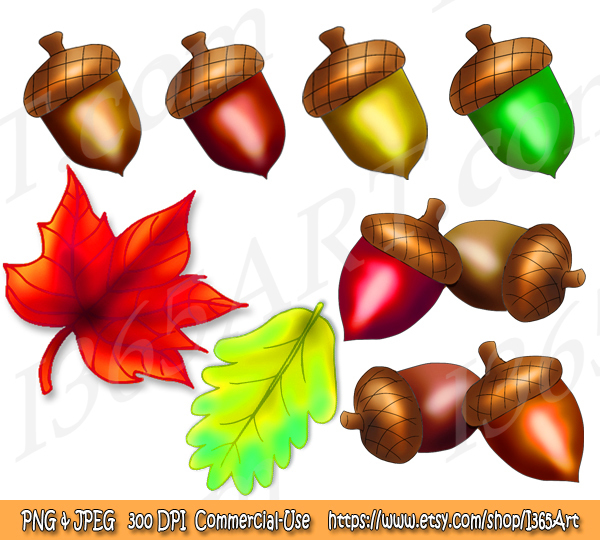 You can also purchase the matching squirrel clipart set to go along with these graphics as well. These are perfect for your next fall project or for the classroom as decorations. You may purchase this digital product buy pressing the purchase button below to add it to your cart. You may use them for personal and commercial-use. Have a wonderful fall season!